Missionary With Athletes in Action in Madrid, Spain. Pastor Serves with City Church of Compton, CA. Missionaries With SIL International in Ethiopia. Missionaries Serving in Tokyo, Japan. With Athletes in Action in Madrid, Spain. Kelsey has been working in Spain with World Team, a church-planting organization. Her main focus has been relationship evangelism, building relationships through teaching English, playing sports, and a language exchange program. She now is working under Athletes in Action. She received training in personal training, nutrition, and Life Coaching to better offer athletes a holistic service. She focuses on spiritual, physical, mental, and emotional health & growth. Her prayer is to see Jesus followers on every team, in every sport, in every city. With Athletes in Action at University of Wisconsin, Madison. 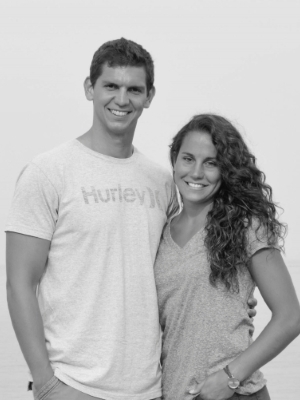 Kyle and Jayne currently serve as chaplains for athletes and athletic staff at the University of Wisconsin with Athletes in Action (the sports ministry of Campus Crusade). While they primarily serve at the UW, they also desire to help equip the other college athletic departments throughout the state of Wisconsin. As Kyle tells their story, "We are so excited to be a part of what God is doing through Athletes in Action! We’ve both served on staff with AIA over 12 years at some of these great places: Wright State University, University of North Carolina, Duke University, 15 months in Australia & University of Missouri. Since the Spring of 2017, we've been excited to follow the Lord in our current ministry assignment: University of Wisconsin! As sports chaplains, much of our ministry is made up of leading Bible studies, pre-game chapels, one-on-one discipleship, evangelism, and small groups. Each summer, we also have the opportunity to join other college athletes as we send them around the world to use their platform through sports to share the ultimate message: Life’s greatest victory is found in a relationship with Jesus Christ!" Kyle and Jayne have three children: AJ, Leisel, and George. Serves with City Church of Compton, CA. 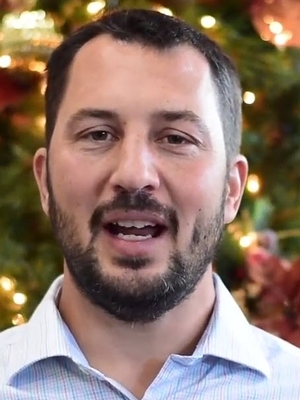 Click here to see a video from Pat in December 2017 talking about his work. Serves with Good News Jail Ministry at the Sheboygan County Detention Center. Rev. Rick Cawthon retired from the Air Force in October 1994. He retired with 17 ½ years of service to enter into full-time ministry. Rick received a B.A. Degree in Christian Education from Berean University in Springfield, Missouri. He served as an Associate Pastor and as a Senior Pastor in churches before becoming a full-time Good News Jail & Prison Ministry Chaplain in April 2004. 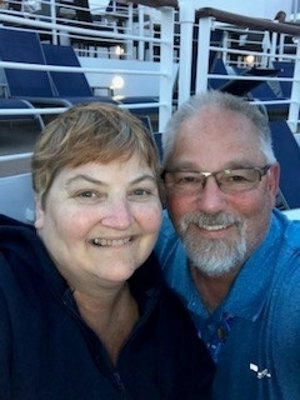 Rick and his wife, Kim, moved to Sheboygan, Wisconsin, where Rick is serving as the first Good News Chaplain in eastern Wisconsin. Rick has received a mandate from God, to preach the good news of the Gospel to those who are in prisons or jails. God has used tragedies from Rick’s and Kim’s lives and turned them into a passion to reach lost souls for Christ. Rick and Kim have two children, Christopher and Brieanne. They have two beautiful grandchildren, Hannah Mykel and Justin Credible. For more information go to www.goodnewsjail.org. 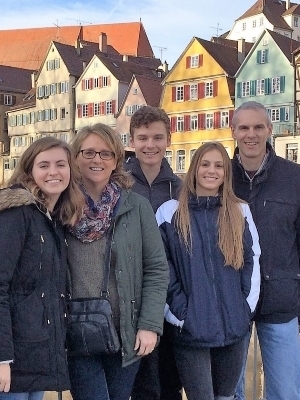 Tim and his wife Paula arrived in Spain in 1999 with World Team ministries to join a church planting team in a rural area of Spain that is one of the least evangelized regions of Spain. Tim and Paula are committed to sharing the love of Christ with Spaniards to make new disciples and start new churches. Tim is also serving as the Field Director of World Team Spain to coordinate their church planting efforts. Tim and Paula have three children: MaKayla, Nathaniel, and Hannah. With SIL International in Ethiopia. 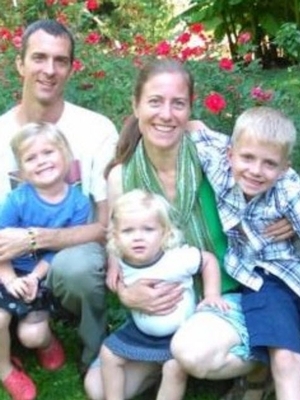 The Williamson's have three children, Micah, Grace and Lumi. For the past ten years, Travis and Andrea have been serving with Wycliffe Bible Translators, the past eight of which have been in partnership with God's church among the Gumuz people in Ethiopia, helping the Gumuz New Testament translation team as a linguistic and translation adviser. These are exciting times as God is slowly yet visibly building His church among the Gumuz. They consider it a privilege to be a part of the task of equipping Gumuz believers, pastors and the church as a whole with His Word - a privilege which extends to all those God calls to partner with Wycliffe in this exciting ministry! They value your love, prayers, and support! Tokyo Union Theological Seminary (TUTS) trains pastors for congregations of the United Church of Christ in Japan (Kyodan). As a homeroom teacher for the freshman class, Wayne Jansen gets to know newcomers to the seminary and provides pastoral care for them through their time at TUTS. He also works with the seminary’s Clinical Pastoral Education program. Miho Jansen has a degree in linguistics and has taught English in Japan and Japanese at Hope College in Holland, Michigan. Miho teaches English part-time at a Christian high school, helps the faculty and staff translate articles and documents, and often entertains students and church members at home. Miho and Wayne met at a worship service at Yokohama Union Church in 1986. They have twin sons, Manato Thomas and Megumu David. Wayne serves in partnership with the United Church of Christ in Japan. With St. Pauls United Theological College in Limuru, Kenya. St. Paul's University in Limuru, Kenya, is an international and ecumenical institution that prepares men and women for ministry in the Christian church and in society. Founded in 1903 as a divinity school, St. Paul's recently expanded to become a Christian university. In addition to doing theological studies, students can now earn a bachelor's degree in business administration. Rowland Van Es Jr., who has training in economics and theology, teaches in both departments. 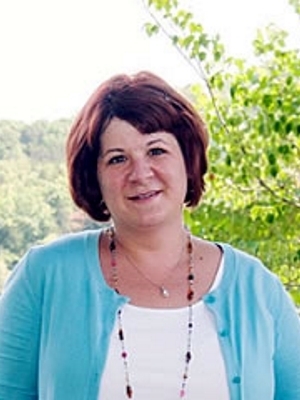 Jane teaches psychology and sociology to students studying theology, counseling and social work in the new faculty of social sciences. Rowland and Jane served previously in Sierra Leone, Malawi, and the Gambia. They have two daughters, Jenna and Michelle. Ethnos360 is the USA branch of an international alliance of church planting organizations. We work among people groups who have had little or no access to the Bible, in Africa, Latin America and the Asia-Pacific Region. While providing practical help such as medical care, community development, and literacy education, missionaries share Bible lessons that allow the people to choose for themselves whether to believe in Jesus Christ and follow Him. Those who believe are discipled, and trained as church leaders, teachers, and missionaries themselves. Our goal is to equip people to lead their own church, while they provide support such as Bible translation and lesson development and advice. In addition, missionaries train people so they can continue to provide basic medical care, literacy instruction, and other practical help to their own people. Mission E4 has found a special place in the hearts of many individuals at GRC. We have sent 2 mission teams to Haiti through this special group. Please take the time to read the following interview with Chelle from Mission E4 on what goes into selecting a child for their schools and what happens once they are there. 1. 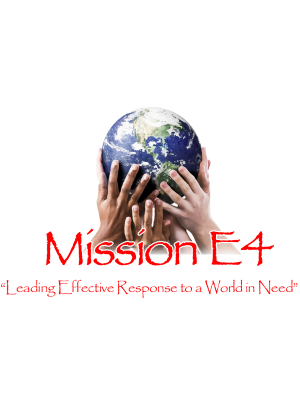 How are children accepted/chosen for Mission E4 schools? The pastor of the church connected with the school is the one who chooses children for each school. They choose the most needy and the poorest who would otherwise have no opportunity to go to school. It appears to me that they also will fill open spots with siblings of children already in the school to keep families together. 2. What is the length of the school year? How many hours/day do they attend? The length of the school year is much like ours in the U.S. They go from September thru May or June, BUT, sponsorship pays for them to go year 'round, and during the summer they have Vacation Bible School and continue with their free hot meal every day. The purpose is twofold...to feed them and to teach them the Bible. 3. Is there Biblical teaching incorporated during the regular school year? There is Biblical teaching incorporated during the regular school year. They also have Sunday classes before church. 4. Do children begin school at age 5 typically? Typically they do begin school at 5 years old for kindergarten, but I know of 4-year-olds as well. 5. Do they get one uniform (or fabric for one) or more? They get only one uniform per year. In July, they are measured and given fabric for a new uniform. They take great pride in their uniform because it shows that they are in school. As soon as they return from school, they get into play clothes and keep their uniforms cleaned and pressed. Haitians are very neat and clean in a very dusty and dirty country! 6. Do they have school books? All children are given school books for their grade (in Haitian Creole, of course!). When they pass a grade, they are given new books for the new grade. For the first 3 years, they are automatically passed to the next grade. After that, they must take an exam to pass. If they fail the exam two years in a row, they have to leave the program. Most pass! Education is more important to them than food! Many in Haiti cannot read or write. 7. What do they typically carry in their school bags? They carry their school books in their school bags, along with any pencils, pens, markers, rulers, etc. that they might have. They must provide their own, and when a child is sponsored they frequently get these items as gifts and then share with other family members or children in their village. 8. Do they bring snacks? Is lunch provided? They do not bring snacks...they are too poor and many do not get anything to eat all day except for the hot lunch they are given at the school! It is hard to imagine in the U.S. where we have refrigerators full of food! They do not have snacks or money to buy snacks. 9. Do they have recess? If so, What do they do during recess? I believe their recess is at lunchtime...they like to go out and play soccer if someone has a ball, or they play clapping games. They will jump rope if someone has a rope. There is also a game they play with pebbles, much like our jacks game. 10. What is the length of the school day? Their school day is shorter, they get out about 12:30 or 1:00 p,m. after lunch...the afternoons are very hot and most of the children have chores to do for their homes, like fetching water from the well or sweeping the dirt floors in their homes (usually one room homes), or washing dishes. They do not have dishwashers or even sinks. They must draw water from the wells, dump them in plastic tubs and wash dishes outside, as well as clothes. 11. Do they have homework? The children do have homework! If they cannot read or write yet, they have to recite lessons. God is a missionary God. He has a passion for the nations, and his Word pulses with that passion (see Gen. 12:2–3; Isa. 19:19–25; or Rev. 7:9–10 for a taste). We tend to assign missionaries very extraordinary reputations, but, of course, they are just ordinary people much like ourselves. And while we may think of them solely as missionaries, they are not missionaries first. They are people first; ordinary believers who just happen to be missionaries. As fellow workers, there are two key ways we can help send and sustain missionaries: by caring for the person and by supporting their work. Because missionaries are ordinary people, we can care for them just like we do any other person. We can encourage them, love them, pray for them, spend time with them, contribute to their needs, celebrate with them and weep with them. Get acquainted. Use Skype or Google Hangouts to get to know them. If you’re caring for a missionary as a Home Group, have each member of your group make a short video introducing themselves, quickly sharing about their life and praying for the missionary. Share the videos with them through Dropbox or send them with the next care package. Ask. Ask them how you can best care for them. Sometimes what we think would be helpful may not fit their context. Communicate often. Typically, two or three quick texts or emails a week are much better than one long email each month. These can be a quick prayer or a quick hello. Consistent little gestures of care and love tend to be much better than one rare, big one. Respond to their newsletters. It’s tremendously encouraging. Your response doesn’t have to be long, just respond. Pray with them and encourage them. Pray for their strength, for their affections and for fearless love for those they’re ministering to. Pray for God to move mightily. If you’re among their closest community, give them the opportunity to join your group in grace-filled confession and repentance and then Spirit-filled worship. Encourage them in the Word. Remind them of God’s faithfulness. Remember security. Check with the missionary or church to be sure your communication doesn’t endanger missionaries working in countries actively opposed to Christianity. Send care packages. Send some encouragement and some fun. Send things that would bless them based on your interactions with them. Visit. Few things are more loving and encouraging than face-to-face. Consider a short-term mission trip to see and support their ministry firsthand. Get creative. Do you write? Scrapbook? Make videos? Consider collecting pictures, prayers and stories of God’s movement in their life and ministry and recording them. On key anniversaries or during difficult seasons for your missionary, pull out the stories and remember with them God’s faithfulness (Ps. 66). We can support the work of ordinary people in extraordinary circumstances by two essential practices: praying and giving. Prayer is essential, as only God can bring people from death to life (Ezek. 36:26-27). Finances are essential, as sending a missionary to live in another country and providing for their ministry costs money. And while both the provision for the work and fruit of it belong to God, God tells us to ask Him to provide it (John 15:16). Support them with prayer. Pray for the missionary. Pray for their people. Get to know the people they’re ministering to by name. Consider intentionally praying for that person’s salvation and sanctification (John 15:16; Jas. 5:13-18). Support them with finances. Search your budget. Give monthly. Sacrifice. Give prayerfully. Ask God to use your money to make disciples. When bigger needs or projects arise for your missionary, consider fundraising for it as a group. John the Apostle goes so far as to call missionary supporters “fellow workers in the truth” (3 John 6-8). The apostle Paul calls them, “partners in the gospel” (Phil. 1:5, 4:15-20). Be encouraged that your role among the nations as a missionary supporter is never second-class. Support your missionary well, in a manner worthy of God. Finally, remember that a happy, healthy missionary is not the only goal of missionary care. A well-cared for and fully supplied missionary is our hope, but our greater hope is that by partnering with our missionaries as fellow workers, we will make more disciples together than either of us could on our own. May God use our ordinary efforts to build an extraordinary partnership between those who send and those who go.